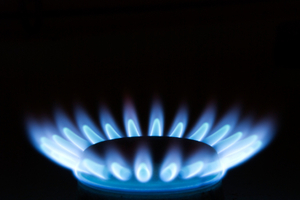 As of Monday (December) 31 British Gas has removed two of its tariffs for the firm's energy customers. The firm has opted to remove both its Online Fixed and Websaver 13 tariffs from the market. The Online Fixed plan was only available for British Gas customers who paid by Direct Debit, and it included an early termination fee of Â£30 per fuel. Despite some regional differences, the plan was actually cheaper than the firm's standard tariff, Clear and Simple. However, if customers failed to change their old tariff before the removal of the plan, they would instead be put on the firm's Clear and Simple plan. The Websaver 13 was an exclusively online variable price tariff from British Gas for both its gas and electricity customers.Â Just as in the case with the Online Fixed tariff, if customers failed to switch before its expiry, they face increased energy bills in the new year. British Gas as well as all the other Big Six energy firms, which are all part of the Warm Home Discount Scheme, all confirmed energy bill price increases last year - with E.On announcing plans to increase its energy bills early this year. The firm increased its energy bill prices back in November, with around 8.5 million households seeing their payments rise. In particular, dual-fuel bill hikes went up an average of Â£80 per consumer - taking the average bill total to a staggering Â£1,336. The Government has already confirmed plans to force energy providers to cut down their tariffs to a selection of four - with consumers put on the cheapest of these.